Virgin Money has reviewed the rate on its easy-access account, which now pays 1.16% yearly or 1.15% monthly. Savers can invest from as little as £1 up to a maximum of £250,000. Further additions are permitted and up to three withdrawals are allowed per calendar year, with subsequent withdrawals resulting in the rate being reduced to 0.50%. This deal is for savers aged 16 and over and can be operated in branch and by post. An online only version is also available. Savers looking for easy access to funds will be intrigued by this latest update from Virgin Money. Priced at 1.16%, this deal is highly competitive, therefore securing its place in the Moneyfacts.co.uk Best Buys. It should be noted that the rate will drop to 0.50% if more than three withdrawals are made in one calendar year, so savers will need to budget carefully. Ikano Bank has tweaked its five-year fixed rate bond, which now pays 2.20% upon its anniversary or 2.18% monthly. Savers must invest from £1,000 up to a maximum of £1 million. Additions are permitted within 14 days of the account opening, however early access to funds is not allowed. This deal is for savers aged 18 and over, and must be operated online. Paying 2.20%, this deal sits just shy of the market leader in its sector and enters the Moneyfacts.co.uk Best Buys as a result. This is a great choice for anyone looking for a long-term home for their savings. However, with no early access to funds, savers must ensure they are happy with their initial deposit. 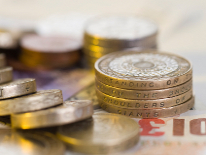 Loughborough Building Society has launched a new three-year fixed rate mortgage, priced at 2.69%. This deal is for all applicants who wish to borrow from £25,000 at 90% loan-to-value. A fee of £499 is payable, of which £399 can be added to the advance of the mortgage. This deal has the flexibility of allowing overpayments up to 10% of the outstanding balance. Borrowers with a modest deposit will be delighted by the latest launch from Loughborough Building Society. Priced at 2.69%, this deal heads straight for the Moneyfacts.co.uk Best Buys, making it a cost-effective choice for many. Tesco Bank has reduced its five-year fixed rate, which is now priced at 2.19% to 30.9.21. This deal is for all applicants who wish to borrow from £40,000 at 60% loan-to-value. No fee is payable, and an incentive package for remortgage customers of free valuation and free legal fees is available. Tesco Clubcard holders will also receive 1 Clubcard point for every £4 made in mortgage repayments. This deal has the added flexibility of being able to make overpayments up to a maximum of 20% of the outstanding balance and take payment holidays. The 2.19% five-year fixed rate mortgage from Tesco Bank is highly competitive, sitting comfortably within its sector. Remortgage customers will enjoy a great range of incentives that include free valuation and free legal fees, which will help minimise any upfront costs. Alongside this, Clubcard holders will receive the added benefit of extra points to spend in store. Lloyds Bank has increased its introductory interest-free term for balance transfers on its Platinum Balance Transfer Credit Card MasterCard. This deal now offers a 40-month interest-free term for balance transfers with an introductory balance transfer fee of 2.85%. Standard purchases will be charged at 18.9% APR. To be eligible for this deal, customers must be 18 or over and apply online. Lloyds Bank’s 40-month interest-free balance transfer credit card is highly competitive and sits comfortably towards the top of the Moneyfacts.co.uk Best Buys as a result. This deal is ideal for borrowers who are looking to clear their debts over a significant period of time. However, to avoid chargeable interest, borrowers should not lose sight of the end of the deal and ensure the balance is cleared before it runs out. Publications are free to reproduce the tables and comments for their readers and the correct sourcing should read Moneyfacts.co.uk. Online publications are also free to reproduce the tables and comments for their viewers by sourcing a hyperlink to Moneyfacts.co.uk on any page that uses the information provided.